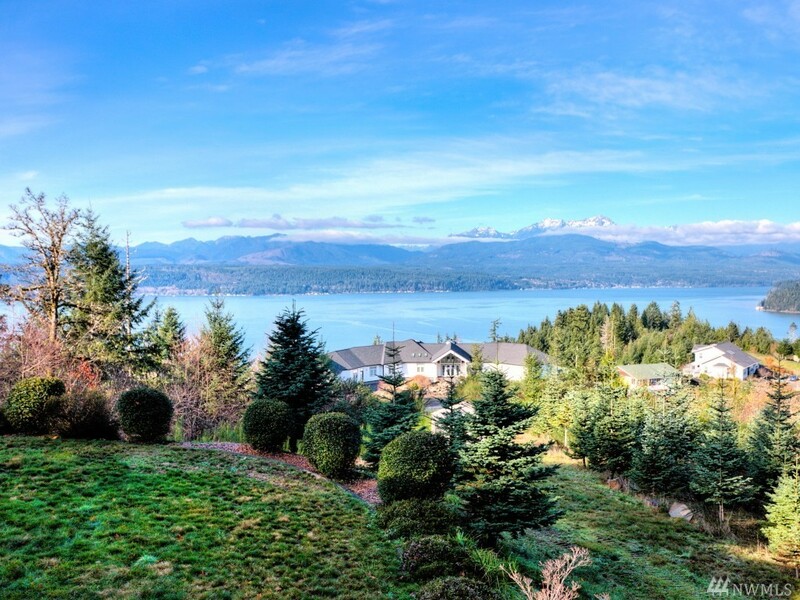 This amazing custom built home sits high above Hood Canal and looks out over Union and The Canal with spectacular views of the Olympic Mountains. The main living area that includes the master bedroom is all on the ground level and the fully finished daylight basement includes the family room additional bedrooms and views from almost every room. Working in the kitchen is easy in bright open spaces. The master suite includes an indoor spa and french doors to the huge deck. Over 4 acres of privacy!